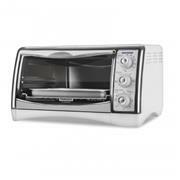 The BLACK & DECKER Perfect Broil Countertop Oven allows you to bake, broil, toast and keep food warm. 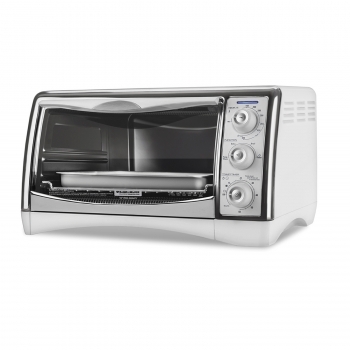 This convenient toaster oven has a large interior that can fit up to a 12 in. pizza with its generous curved design. The crumb tray is removable for easy cleaning and a reversible chrome-plated broiling rack allows you to easily cook your favorite foods.